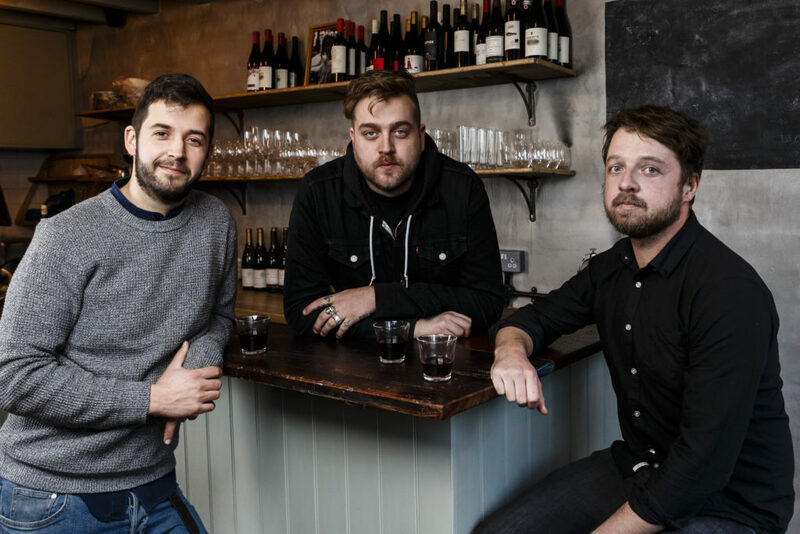 The team behind the tiny Hackney restaurant Pidgin, one of the new stars of east London dining, has opened an even smaller wine bar three minutes’ walk away. Enfant Terrible is billed as “a gonzo take on the tiny wine bars of Paris”, serving elevated snacks such as mutton tartare with roasted rice, brown butter and fish sauce. It only opens in the evening, doubling as a barber’s shop by day. The 2017 Harden’s Survey hails Pidgin for its “truly innovative” cooking in a “cramped but magical” room. Manager Ajax Kentish (middle), formerly of Spuntino, is pictured with founders James Ramsden (left) and Sam Herlihy. News, Newsletter east London, Hackney restaurants, London wine bars, new london restaurants, Pidgin, wine bar. permalink.